The Monday after Halloween was all about coming down from a sugar high! 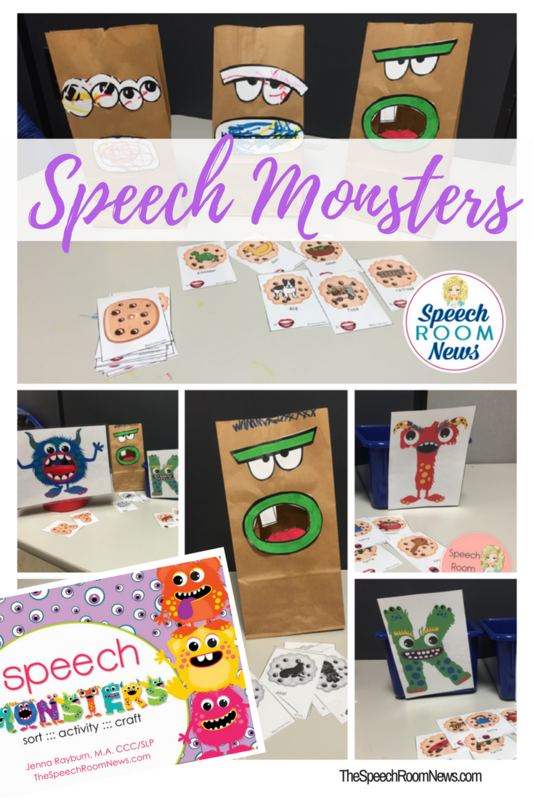 Before the thoughts pass me by, I wanted to share what we did for our monster week! Throughout the week, we did three different days of fun! 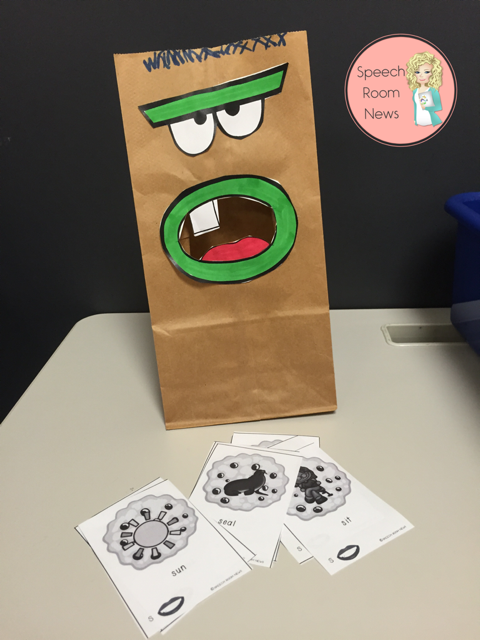 First, we used paper bags to make monsters. And you know monsters eat WEIRD cookies! 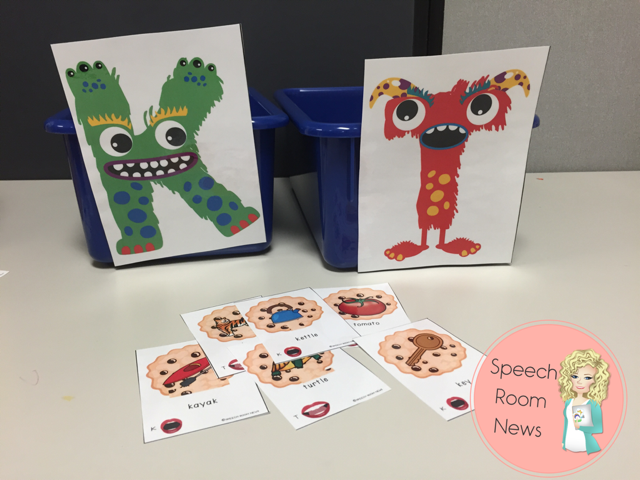 Cookies full of funny pictures with speech sounds! Craft projects are so full of language. 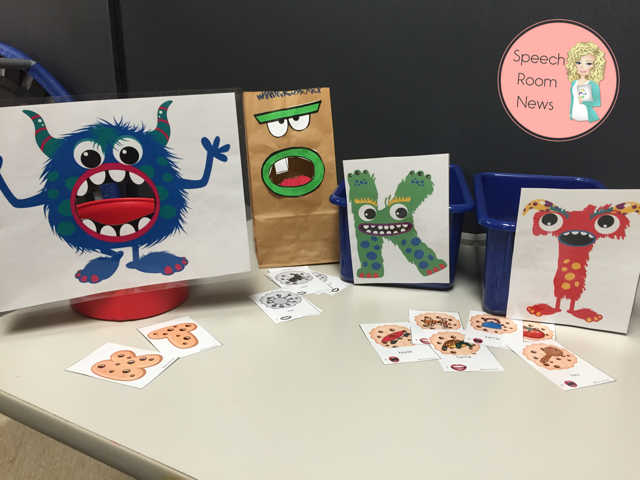 We loved the characters we made. 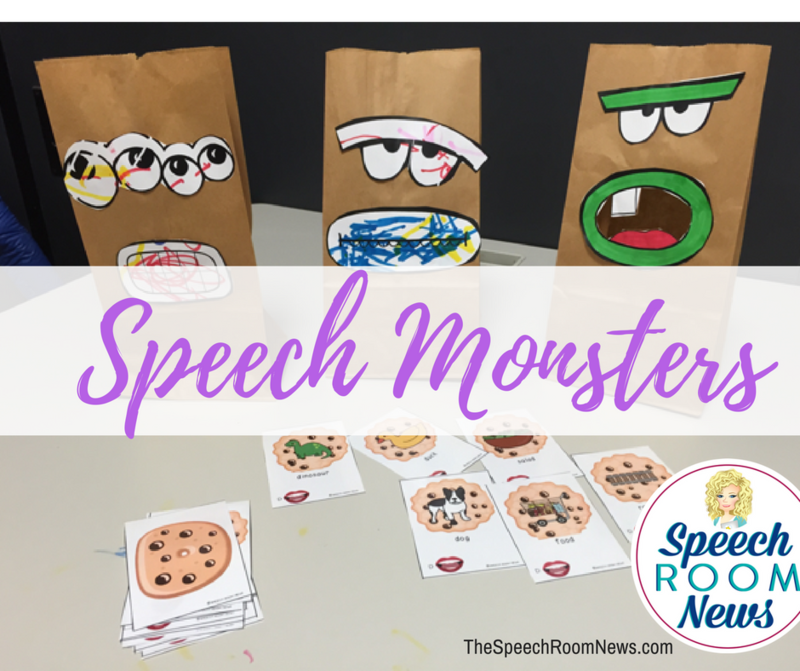 Monsters made the perfect homework activity to practice at home. 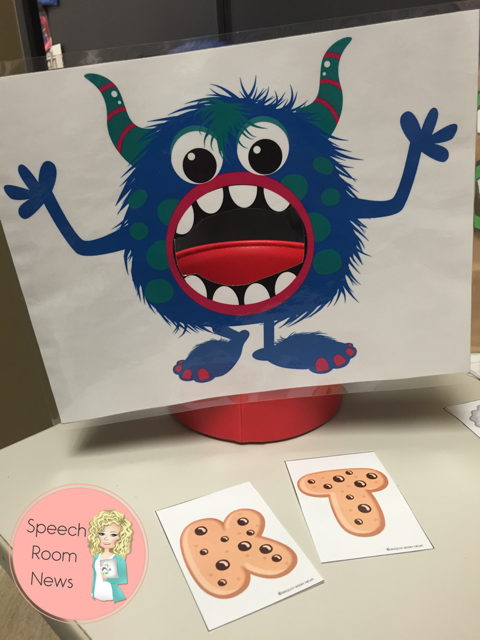 We also fed speech sound cookies to a monster in a can! He chomped and chomped until the can was full! 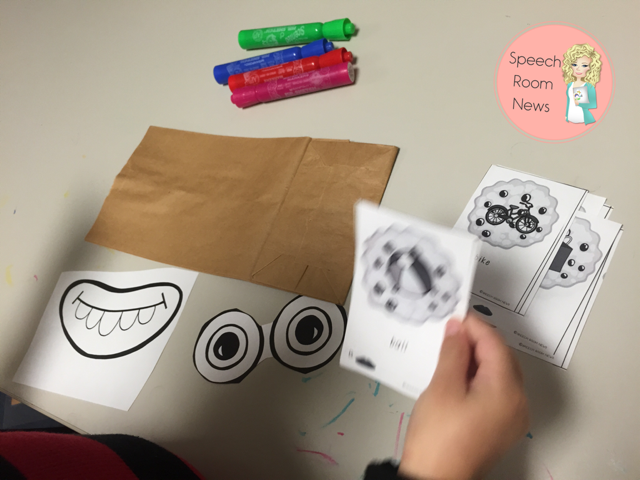 The last activity we did was a speech sound sort. We gave the /k/ and /t/ monsters each a box. 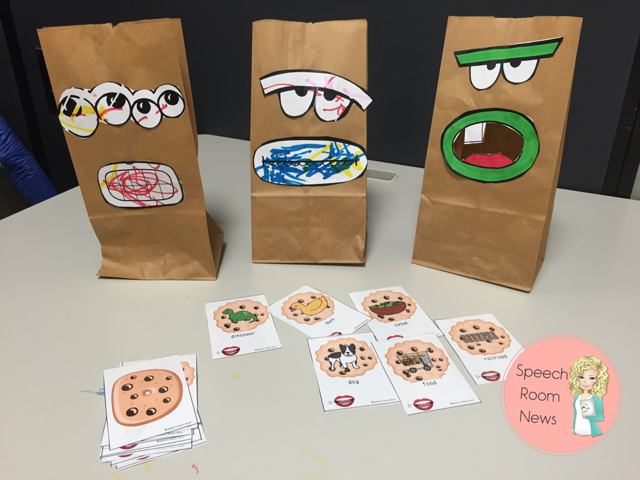 We put the cookies into the right box based on the sounds they include. 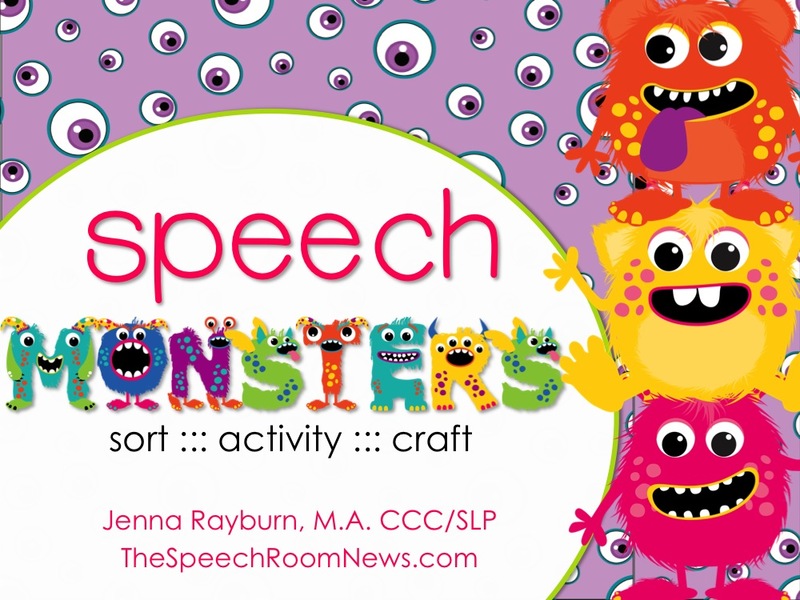 If you’d like to download the Speech Monster activities you can find them in my TpT shop!